Infinity Gauntlet articulated fingers for glove #3DThursday #3DPrinting « Adafruit Industries – Makers, hackers, artists, designers and engineers! Ive uploaded the modified hand and arm parts. I havent printed the this arm with the wider hand opening, mine was printed with the standard opening, and I cut material away. 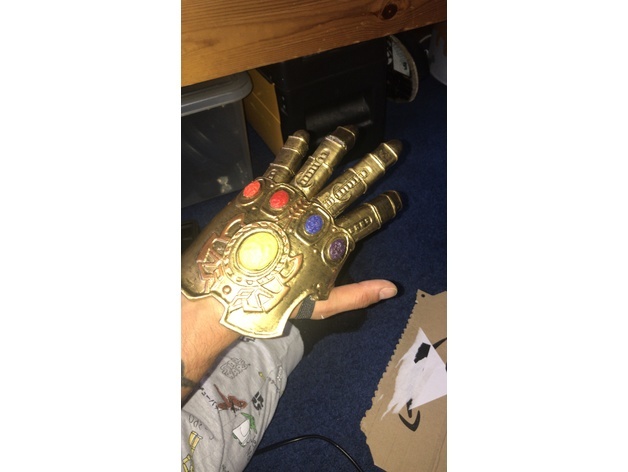 Heres the articulated fingers for HappyMoon’s infinity gauntlet. May need some finishing work On some parts, but works great! I wore it for 10Hrs on and off at mcm London with only minor issues! hope to see what everyone can do with them!